The harmonic-oscillator problem is perhaps the most generally-applicable model system in all of physics, and this workshop introduces attendees to the wealth of topics that can be taught, and learned, about this system via hands-on investigation. The results obtained in this table-top investigation then apply to any system that can be modelled as a damped, driven, harmonic oscillator. The system under investigation also forms a fine instance of a ‘linear system’ described by a transfer function, another concept of extremely wide applicability. 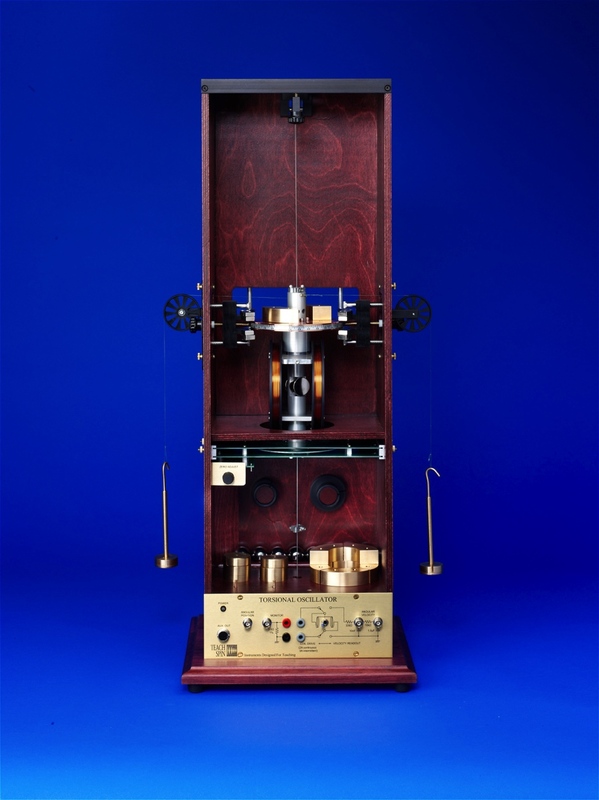 The apparatus chosen is an electro-mechanical harmonic-oscillator system using (for convenience) a torsional degree of freedom, in which a variety of damping laws, and an entirely general driving torque waveform, can be introduced. In addition to reinforcing concepts in the statics and dynamics of 1-d rotational motion, the TeachSpin Torsional Oscillator we use permits variation of the rotational inertia, and the restoring-force constant, of the oscillator. The ‘drive’ and the ‘read-out’ of this oscillator are both electronic signals of low (∼1 Hz) frequency, and ordinary signal generators and oscilloscopes are the preferred tools for interacting with the oscillator. Particpants will use the TeachSpin oscillator to measure, statically and dynamically, the parameters of the system, and will learn to compare observations with theory. In particular, the transient response, and the steady-state response to sinusoidal drive, can be investigated in detail; both the magnitude response, and the phase shift, can be measured as a function of frequency, and compared with expectations for resonant behavior. Participants ought to bring a laptop and/or notebook, and optionally may bring their own oscilloscopes if desired. Replication of this Immersion costs about $3600, assuming ordinary lab tools are available.